Grew Up… a young criminal. Ellis Boyd “Red” Redding recalls his youth with regret: “I look back on the way I was then: a young, stupid kid who committed that terrible crime. I want to talk to him. I want to try to talk some sense to him.” But he’s stuck with his mistakes. Living… in Shawshank prison. He keeps a cordial distance from most other inmates, aside from a small group of friends. He’s careful to avoid enemies, even cultivating relationships with some of the guards. He’s a pretty unique inmate, including the fact that he doesn’t deny that he committed the crime (murder) he was accused of, quipping that he’s the “only guilty man in Shawshank.” At some point Red reasoned that he was likely going to be stuck in prison for life, so he might as well make the best of it. Profession… inmate and smuggler. As a “lifer,” Red has managed to fashion himself into an important member of the prison community. His connections all throughout the prison allow him to smuggle in things from the outside – for a price. If his early crimes hadn’t put him behind bars, he perhaps could have been a good businessman given his ability to work with both suppliers and customers with aplomb. Interests… passing the time, dreaming of a day he might get paroled. There isn’t a whole lot to do in prison, and a man learns to keep himself entertained doing nothing if he wants to keep from going crazy. Red finds his pleasure in occasional luxuries smuggled in from the outside world, particularly “icy, cold, Bohemia-style beer.” There’s nothing like a nice brew to make you “feel normal again, if only for a short while.” That beer was actually arranged through the efforts of fellow inmate Andy Dufresne, who over time becomes Red’s closest friend. Relationship Status… single. The only chance at a relationship in Shawshank is getting with “The Sisters,” a group of prison rapists. That’s not for Red. Challenge… making parole. Red has been trying to get parole for years, and keeps getting denied. He’s not even sure what he’d do if he got out. He’s come to the point in his life where he believes the idea of “rehabilitation” to be a bunch of “bulls--t.” But it sure would be nice to be free once more, perhaps alongside his friend Andy. Personality… self-interested, but observant and kind-hearted. While Red is a cautious man who has survived prison mostly by looking out for himself, he shows true loyalty and compassion for Andy and several of the other inmates at Shawshank. 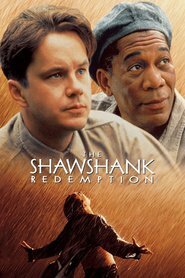 Red is known at Shawshank as a man who can “find things,” but the most amazing thing he’s found is the way to serve hard time with dignity. Ellis Boyd "Red" Redding's popularity ranking on CharacTour is #455 out of 5,000+ characters. See our top-ranked characters and read their profiles.